The hardest part of making Michigan skydiving reservations is getting up the gumption to do it. 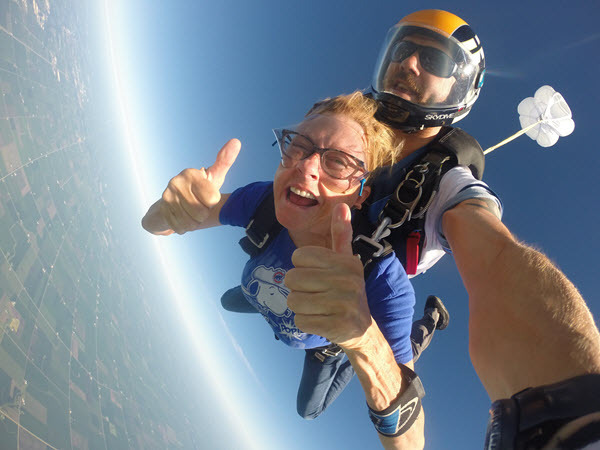 At Skydive Tecumseh, our owner-developed booking system, Burble Software, makes setting up skydiving reservations a breeze. See, in this day and age, time is worth its weight in gold. We know your time is valuable, and this is why skydiving reservations online at Skydive Tecumseh take just a few seconds to complete. So, after much deliberation, you’ve finally decided to make skydiving reservations. WHEW! Well, take a load off because that is by far the most difficult part. Making skydiving reservations over the phone is becoming a thing of the past. More and more people are choosing to make their skydiving reservations online. Why? Because of the simple fact, that making a booking online is possibly the easiest thing you’ll do all day. Don’t believe us? Well keep reading ‘cause in just one sentence, we can list everything you need to do to make your online skydiving reservation. Select the date that works best for you for your Michigan skydiving reservations from our calendar, choose a skydiving reservation check-in time, enter the number of people you will be booking and paying for, enter the jumpers name(s) and information, pay your deposit or pay in full if you already have the cash stashed aside. And that’s it. Your skydiving reservation is made! Now, here comes the really cool part. When you complete a reservation, on the last page you see and in your confirmation email, you are given a Group ID Number. This group number can be shared with your friends easily through a facebook post, or you can text it to them the old-fashioned way. By entering this number, your friends can sign up for a skydive online and be automatically added to your group; there’s no need for each member to call in! Now, if you prefer to do things through the phone, don’t worry about navigating the internet. Our staff is more than happy to help you with making Michigan skydiving reservations! Making Michigan skydiving reservations was the first step, up next is all the rest! At Skydive Tecumseh we welcome guests of nearly all ages to make skydiving reservations. While there is no age maximum (that’s right Granny, you are welcome to come! ), there is an age minimum. 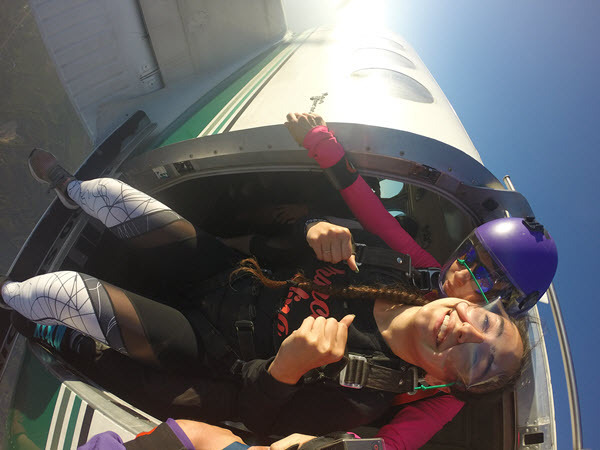 Because Skydive Tecumseh is a group member of the United States Parachute Association, we must follow their rules and regulations they have in place: to skydive with us, you must be 18 years of age or older. When it comes to weight, for the safety of the individual and the safety of our instructors, our guests cannot weigh more than 230lbs. This isn’t a rule we made up, but rather, it is a restriction put in place by the equipment manufacturers. Despite our desire to get everyone in the air, safety is our main priority. It is recommended that potential skydivers be in fairly good health and possess average strength and flexibility for their age. A good rule of thumb for determining whether you possess the strength to skydive and land safely is to sit at the edge of a straight-backed chair, extend your legs out in front of you, and lift. Are you able to lift your legs and keep them elevated? If so, and you meet the other requirements, you should be able to skydive. If you cannot, all hope of turning your skydiving dream into a reality is not lost. At times, we are able to accommodate customers with physical limitations, but this decision is made on a case by case basis. If your heart is set on skydiving but you have physical limitations, please give us a call. We may need to set up an appointment to meet you and evaluate whether the particular physical limitation would compromise your safety or the safety of our instructor. What Do I Wear For My Skydiving Reservations? Not a fashionista? No worries. Skydiving attire is pretty simple really: we suggest that you wear comfortable clothing that suits the weather. If it is warm, shorts, leggings, or capris will do. When the temperature begins to dip, consider wearing a few form fitting layers. Regardless of the weather, It is important to avoid clothing that is too loose fitting or baggy. You also want to avoid clothing that will “flap” around (i.e. collared shirts or clothing with hoods). Keep it simple with the foot wear and wear athletic shoes that fit snuggly or lace. Open-toed shoes, sandals and boots with hooks are a no-go. Keep jewelry to a minimum, and do not wear anything you would be worried about losing! We are a thorough group of people here at Skydive Tecumseh. We like to dot every “i” and cross every “t”, and sometimes, because of our dedication to safety and penchant for perfection, getting you in the air for your skydiving reservation takes time. 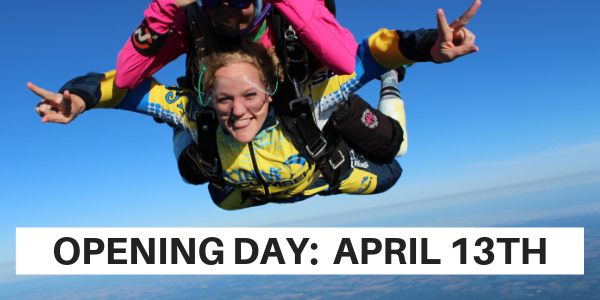 Treat your Michigan skydiving reservations, like a full-day activity. Jumps are made in order of earliest appointment forward, and so, inclement weather in the morning may push all skydives back a bit. We’d rather you not fret about running late for another engagement, so you are better set up for success when you schedule for a day when you do not have time constraints. If you still have questions or feel like you are missing something, visit our Skydiving FAQ’s page or please give us a call. And don’t forget to test it out for yourself just how easy it is to make your Michigan skydiving reservations online!